Shop online for 2 revell-monogram toys and games at discounts up to 70%. 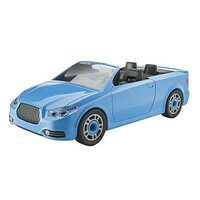 This is the 1/20 Scale Roadster Convertible from the Junior Kit Series by Revell. Suitable for Ages 4 - 7 Years Old.